PRICE REDUCED. 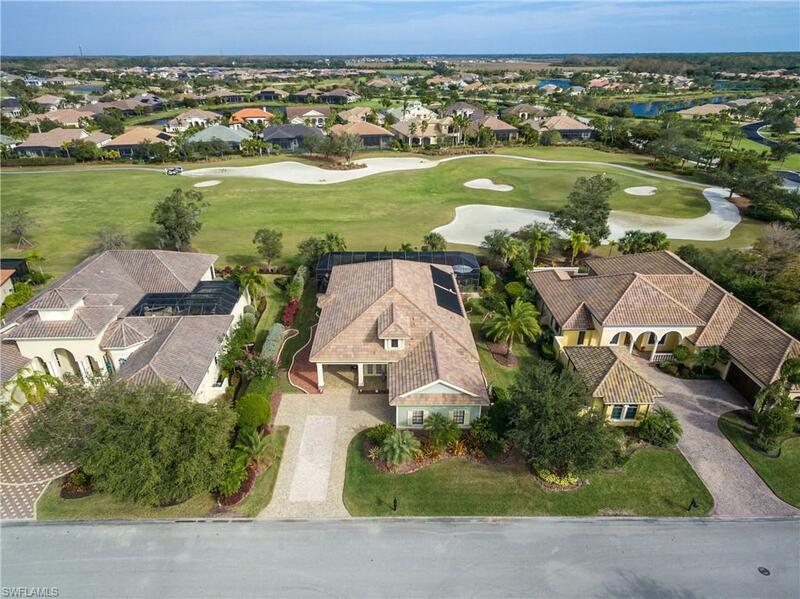 FANTASTIC VALUE for this Exquisite Model CUSTOM Home by award winning Florida Lifestyle Homes. Move in ready like NEW. This Green Certified Home starts with a Southern Style Verandah entry with double doors and stained glass inserts. 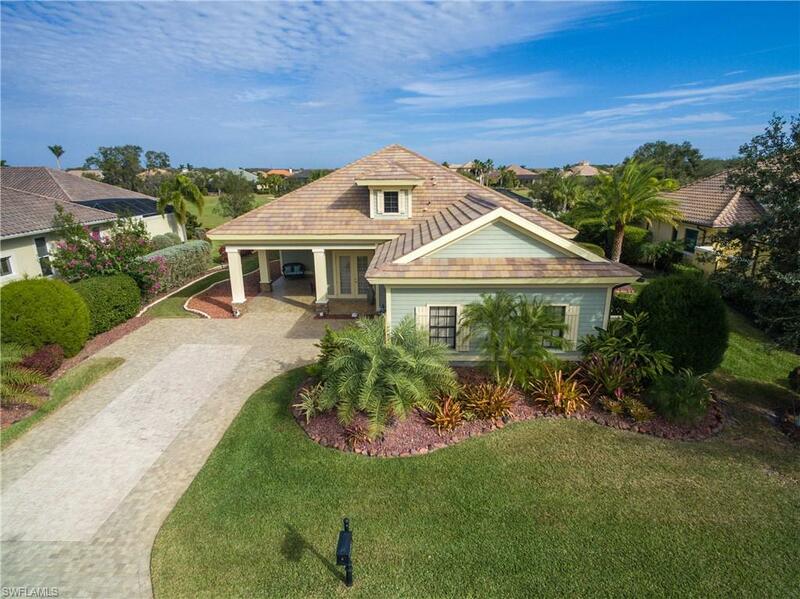 This 3 Bed + Den 3.5 bath home has features throughout rarely found in one home. They include upgraded flooring, exquisite lighting fixtures, surround sound, recently installed AC w/10 yr warranty, beautiful entertainment center/wet bar, expanded garage with AC and storage PLUS more. 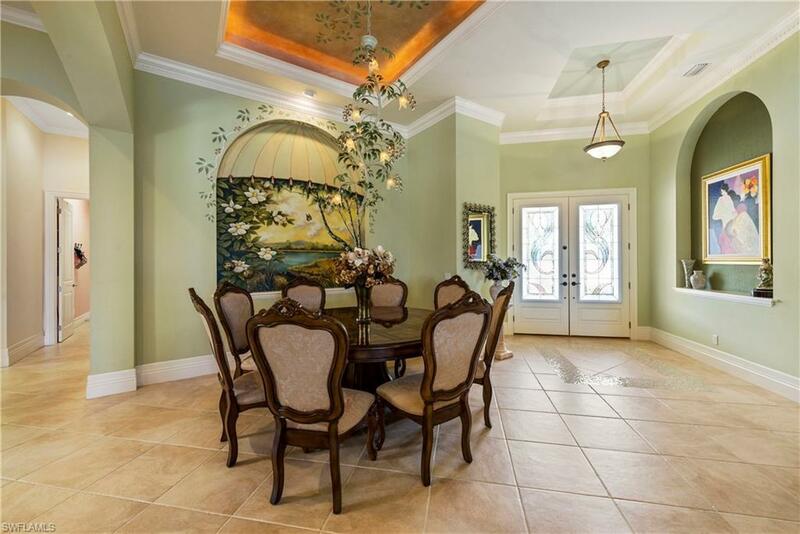 The 14 tray ceilings, crown molding, arched pathways provide an open feel in the great-room, dining and kitchen. The kitchen features 42 cabinets with light valance, granite counter tops, large middle island and reverse osmosis 5 filter system. The Large bedrooms have en-suite bathrooms with upgraded fixtures. The outdoor living is unsurpassed in elegance and features, extended lanai, golf view, fireplace, new heater, sunning decks throughout, outdoor kitchen, refrigerator, bar and granite counters, new picture windows, all new landscaping and lighting that makes you feel at a 5 star resort. YOUR PLACE IN PARADISE awaits! CLICK ON THE MATTERPORT TOUR.